Have your pet's vaccinations lapsed? Are your pets vaccinations up to date? Or is your pet one of over 50% in the UK that is not vaccinated? We all lead busy lives and sometimes it is easy to forget about our pets' booster vaccinations. Many of our clients have told us that they thought puppy and kitten vaccinations would last for the lifetime of their pet- unfortunately this just is not true and the immunity provided from puppy & kitten vaccination courses will only last for 12 months (scientifically tested and proven by the vaccination manufacturers veterinary pharmaceutical licensing). Regular booster vaccinations help to 'top up' your pets' antibody titres and provide immunity to a list of fatal viral diseases. Booster appointments also provide an excellent opportunity for our vets to give your pet a full health check to ensure they are fit, well and happy, and for you to ask our veterinary and nursing team any questions. We can also ensure your pets' worming and flea prevention is up to date as well. Here at Advance Vets we choose a month each year where we offer you the chance to restart your pets' vaccination course, if their immunity has lapsed for any reason, for the price of a booster vaccine. You pay for a booster vaccination and Advance Vets cover the cost of the 2nd part of the vaccination course (species dependant). This is an excellent way to get your pets vaccines back on track with a full health check by one of our vets for that extra peace of mind. 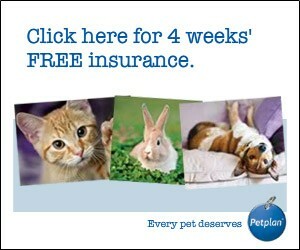 Check our special offers page on this website or Facebook page to see when we are offering our vaccine amnesty.